The monthly periodical of the English Baptist Sunday School Union of Wales. The periodical's main contents were religious articles, Sunday school lessons and denominational news. Amongst its editors were William Edwards, William Daniel Nicholas and D, Owen Griffiths. 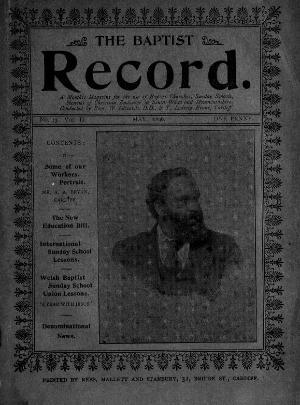 Associated titles: The Monmouthshire Chronicle (1891); The Baptist Chronicle (1892-1895); The Baptist Sunday School Record (1897-1898); The Brecon and Radnor Baptist (1913); The Crusader (1940).